If you have any questions about the design you can call us at +44 755 533 6292 and we will help you out with your query. We work very closely with the manufacturer meaning that the chances of mistakes in design, or miscommunication in terms of demands, are very little. We can guarantee you that the compiled device will be of genuinely high quality. It is based on the fact that we have worked with the manufacturer for many years and we have built a trustworthy relationship with them. Cold Design Company can process design requests for a multitude of businesses because we have worked with such a wide range of organisations. If you have already designed your cold room, then you can go to our cold room installation main page to get it installed. You should not hesitate with asking specific needs because chances are, we have already dealt with similar requests. If you are not sure about the physical design that would best fit your environment, feel free to get in touch with us and one of our engineers will consult you so that your cold storage room design is ideal. 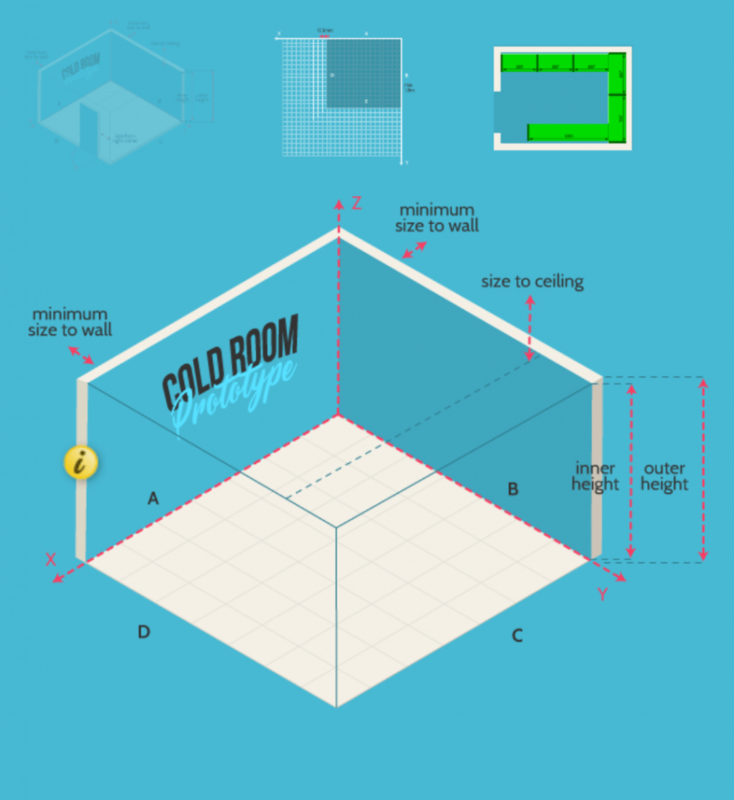 By the way, our Cold Room Design Application is available 24/7, so you can use it at any time. We will receive your request straight away and pass it to our manufacturer. The production might take just a few days. Afterwards, you can either request a delivery and installation or collect your unit (not built) from the factory. You can also visit our cold room manufacturers page if you need more information about such service.